Manchester United have received a boost in signing Mauro Icardi from Inter Milan with the Serie A side deciding to significant reduce on their asking price for the marksman. The 26-year-old has been widely regarded as one of the best strikers in European football, but his recent contract standoff at the Nerazzurri appears to have decreased his value in the transfer market. According to AS, the Nerazzurri are likely to consider the striker's sale in the summer and they could be prepared to accept a fee in the region of £52m, unlike the £88m sum previously quoted to the player's suitors. 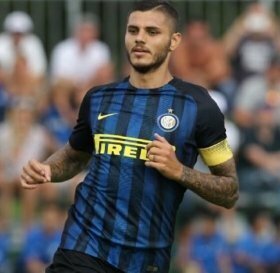 Icardi has recently returned to the first-team fold after spending nearly two months on the sidelines with a contract dispute but he is nonetheless said to hold a fractured relationship with the fans following his antics. Manchester United are currently looking for a new marksman with Romelu Lukaku tending to misfire upfront and Icardi is said to be among the leading names on their summer wishlist.